Social media is always changing. You can't use the same marketing technique year after year. What worked on Facebook 5 years ago may not work today? Same with Twitter and Instagram. "Social Media Examiner® helps millions of businesses discover how to best use social media to connect with customers, drive traffic, generate awareness, and increase sales." If you follow my Week in Links series, you might've noticed I usually include one or two articles from Social Media Examiner. I love this site and their podcast. Just listened to their Instagram episode. "As a social media strategist and manager, my focus is on helping authors like you surmount the barriers that keep you from flourishing online and selling more books." 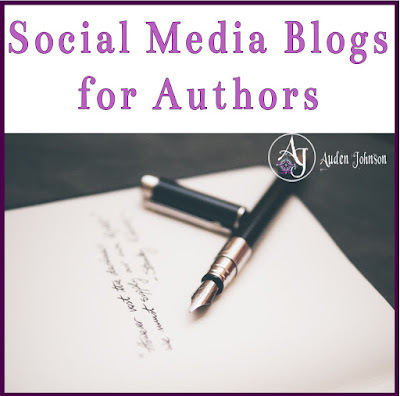 There are a lot of author blogs that give social media tips. There aren't a lot of social media blogs just for authors. "Copyblogger has been teaching people how to create killer online content. Not bland corporate crap created to fill up a company webpage. Valuable information that attracts attention, drives traffic, and builds your business." Copyblogger is great for those who have a blog or want to start one. They offer tips on creating content that gets readers to take action. Buffer has really in-depth articles about social media. I don't often find tips on this Forbes. It is a good place to learn about any news in social media. They'll be the one to tell you about the growth of a particular social network or if they added a new feature. Where do you get your social media tips?